Podcast Interview on the Phil Ferguson Show! 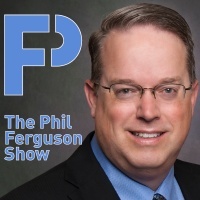 Check us out on the Phil Ferguson show! Please check out episode 190 Gold and Monster on Sunday. Steve and Tally Cass join the show to talk about their Hard Rock Atheist Band “Monster On Sunday”! We also get to listen to a few songs from the about to be released live concert at The Reason Rally! Investing Skeptically: Trump won the election – Should I now buy gold? Listen to “190 GOLD? and Monster On Sunday” on Spreaker.